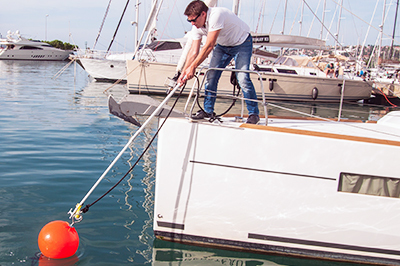 Hooklinker is multifunctional boat hook unit for simple mooring and docking. 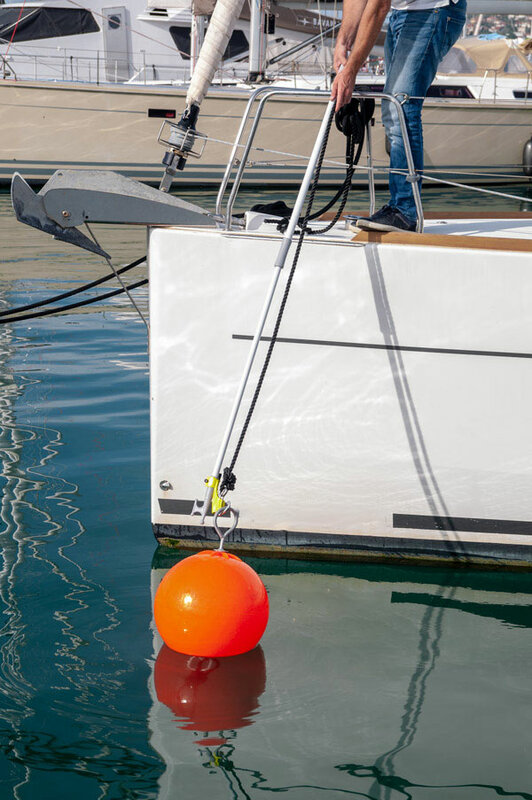 Together with stainless steel spring snap hook, LED flashlight, and holder for Boatasy GHOOK, it guarantees a complete and quick mooring or docking experience. 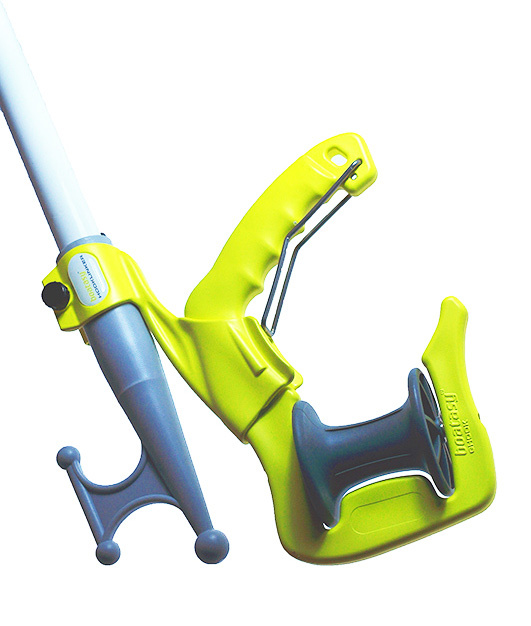 Unique accustomed to hold and improve the performance of Boatasy GHOOK. Now, picking a lazy line from the distant pier with connected GHOOK on it is cleaner, easier and safer. Mooring time is reduced. 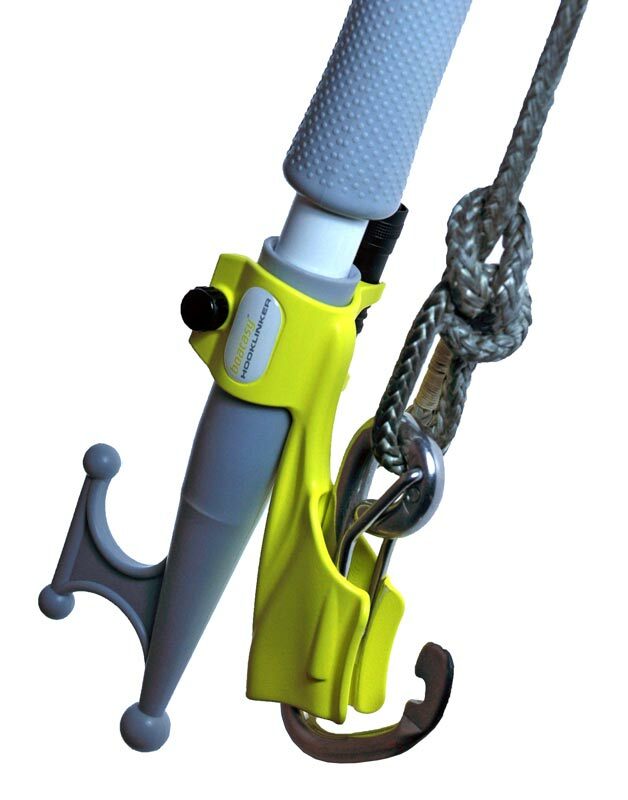 You can use it during mooring or docking – on the buoy, ring, etc.. together with the integrated spring snap hook (carabiner). It could be easily fixed into the flexible holder and disconnected once the ring is connected. A connection is simpler and faster and could be now performed with only one person. The 12 mm stainless steel spring snap hook (carabiner) is wide enough and guarantees good strength. 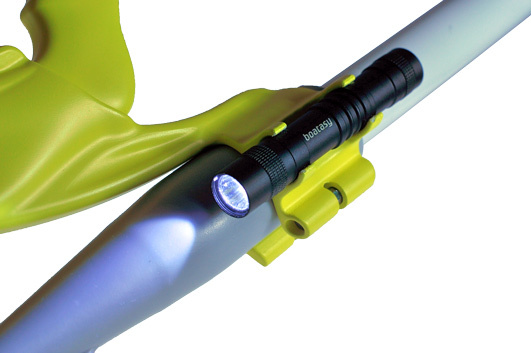 Unique with high performance LED flashlight integrated on it improves visibility during the night or in poor visibility, 24 hours a day. Its shape and weight have been optimised to give the best results. 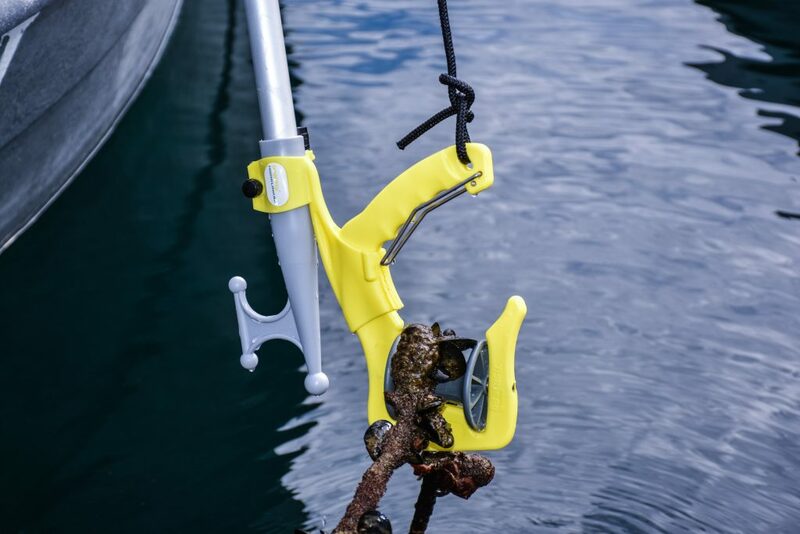 Hooklinker is light and compact in order for everybody to use it without major efforts directly from the boat deck. 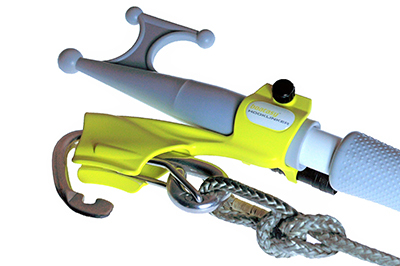 Compared to a standard telescopic hook without it, the job is now simplified and faster. 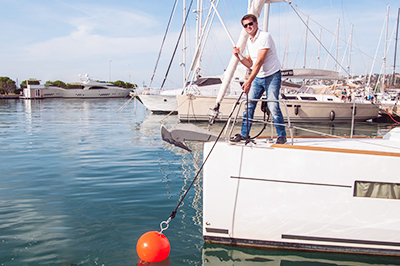 Moorings and dockings are now done with less stress and efforts, making Hooklinker an ideal solution also for the less-experienced crew or solo sailors. 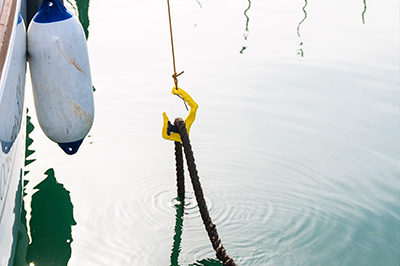 You can use the HOOKLINKER to moor on buoy or rings directly from the boat deck. Prepare the carabiner in the holder and move it toward the ring. 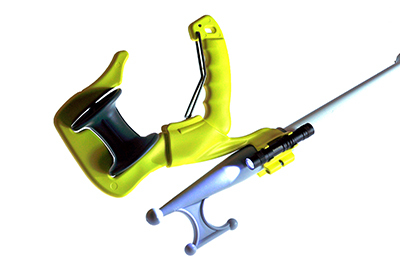 Once connected, it closes automatically when you push the boat hook. 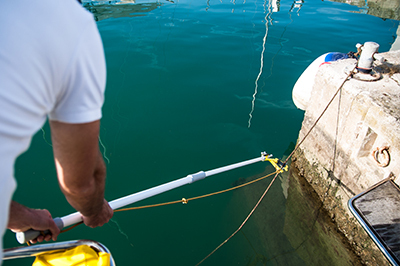 Plug the GHOOK on HOOKLINKER before mooring. Pick a lazy line from the pier with it and move forward. Unplug GHOOK from it once closest to hand.